Great rates beginning this Monday at @Thunder_Valley for players coming in for 12 Rings in 12 Days - the 2017 WSOP Circuit series at @TVPokerRoom. 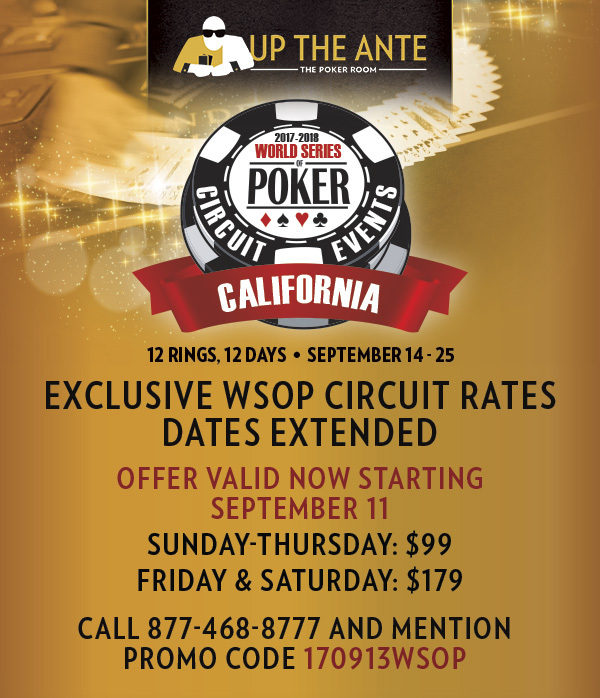 Use code 170913WSOP when you call 877.468.8777 to book your room for the Circuit. Come early, play the satellites and cash games, then aim for one of the 12 rings to be awarded to winners of the tournaments. Satellites begin Monday, with the first Ring event on Thursday. Check out the Full WSOP Circuit Schedule with all events and structure sheets included.